Lock in a great price for Hotel Posada De Roger – rated 8.5 by recent guests! Pool was clean, close, private. Facility enforced rules regarding noise. Much appreciated. This location can be noisy. Cleaned rooms, changed linens daily. Great safe for valuables. 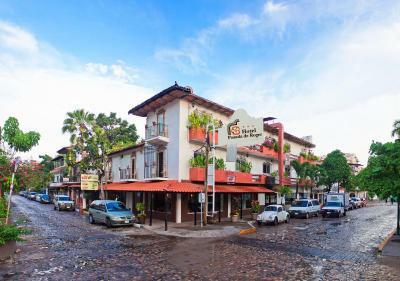 great hotel, central to old town puerto vallarta. awesome brekfast and lunch reataurant located in hotel. attentive staff and lovely pool area. Location. Personal attention professionalism and friendliness of all the staff. They go out of their way to make you feel at home and to please! Quaint. Not fancy. Low key. Is like old PV in a wonderfully good way. It was my 3rd stay. I am single and I travel with family (siblings and their spouses). I book a room there for a several days during my stay in PV so I can have some down and alone time and yet close enough to get on the bus and join them easily. If you’re a person who likes luxury high end hotels...This ain’t your place. But it’s definitely happily MY place! Incredibly friendly staff. Right on the main drag, but not loud. Cutest courtyard ever. Location and cost were the primary reason we chose to stay there. We didn't expect 5 star but liked the overall ambience. It’s location is wonderful. It might be loud if you have a street facing room. The location is excellent. Entry patio is lovely. The swimming pool though small was refreshing. The open air surroundings and flowers made this place enjoyable. Hotel Posada De Roger This rating is a reflection of how the property compares to the industry standard when it comes to price, facilities and services available. It's based on a self-evaluation by the property. Use this rating to help choose your stay! One of our best sellers in Puerto Vallarta! 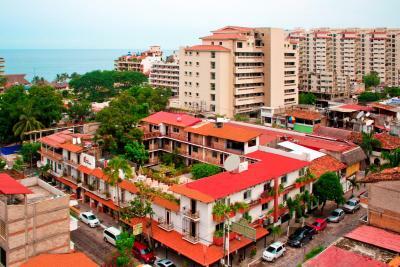 Located in downtown Puerto Vallarta, this hotel is 500 feet from Los Muertos Beach and boardwalk. The hotel features Mexican-style architecture, an outdoor pool and air-conditioned rooms. 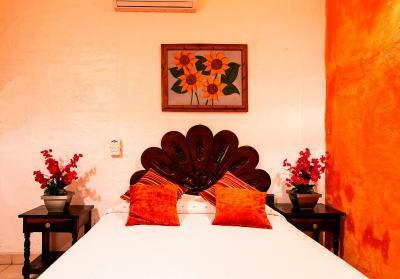 Each room at Hotel Posada De Roger is individually decorated in traditional Mexican décor. The spacious rooms offer free Wi-Fi and a flat-screen cable TV. They also have a telephone and a ceiling fan. Posada De Roger Hotel features a rooftop terrace surrounded by gardens and featuring mountain views. 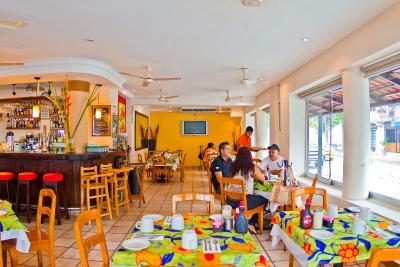 Guests can use the community kitchen or dine at the on-site Fredys Tucan restaurant. Posada De Roger is located 20 minutes' drive from the Gustavo Diaz Ordaz International Airport and is 5 blocks away from the Museum Del Rio Cuale. Many shops and markets are nearby. 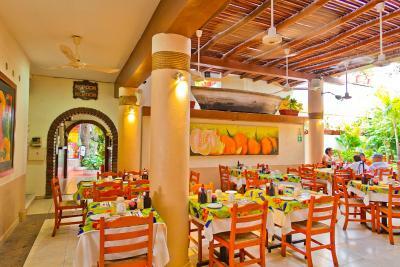 This is our guests' favorite part of Puerto Vallarta, according to independent reviews. When would you like to stay at Hotel Posada De Roger? 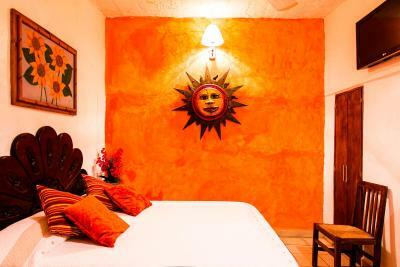 This air-conditioned room has vaulted ceilings and traditional Mexican décor. It comes equipped with free Wi-Fi, cable TV and a private bathroom. This economy double room features air conditioning. Please note that this is a corner room with no views and little natural light. House Rules Hotel Posada De Roger takes special requests – add in the next step! Hotel Posada De Roger accepts these cards and reserves the right to temporarily hold an amount prior to arrival. Bathroom toilet was zo close to wall no room to sit ,noise levels at hotel was excessive. Pillows were lumpy, bed was hard & air conditioner remote needs new batteries. Lots of stairs. Need more places in the bathroom to put your stuff. Gorgeous gardens and plants all over. Super pool. Great location in Zona Romantica. Loved Freddy's for breakfast every day. Newer, grander but then you lose charm and cost goes way up. The wifi was slow. I would have liked to have breakfast included. Really liked the location. The room was really quite and really clean. It is exactly like in the pictures and It met my expectations. I recomend it and I will return for sure when I go back to PV. 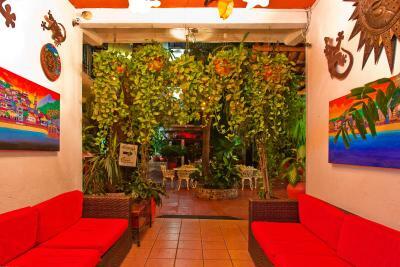 very clean quaint central friendly wonderfully priced mexican boutique hotel. Can't think of anything considering the age of the hotel but loved the Mexican influence and beautiful lobby. Breakfast was good and the location was excellent! Rosy and her collegues at the front desk were so pleasant and accommodating. Definitely would stay there again. Matresses need to be replaced. They are lumpy and not firm enough. The breakfast were outstanding and reasonable. There was nothing about it that was not spectacular! liked the location, the surround around the pool, the colours, the staff and the plants as well as the resident birds. I give Posada de Roger 5 stars overall.... I LOVE this hotel and plan to be back soon! There were several birds locked in cages. This is cruel and absolutely not necessary. Typical Mexican style, very colourful and lots of plants. We changed our room on the second night because our first room stinks so bad. It smelled like a sewer. It was suffocating! The hotel gave us free champagne for our anniversary!